No, we don’t mean the raptors. The moment comes at as part of one of the film’s biggest spoilers, though—so if you haven’t seen the movie yet, run away now. The moment in question comes when Emmet realizes that Rex Dangervest is actually Emmet from the future and that we’re going to see some time travel. The film then shows Lego sets of several different famous time machines, including Doctor Who’s TARDIS and the Back to the Future DeLorean, which have previously been made into Lego, but also Skynet from Terminator, the Hot Tub Time Machine hot tub, and the phone booth from Bill & Ted’s Excellent Adventure, none of which have been made in Lego before. In fact, two of those will never be made in Lego. Terminator and Hot Tub Time Machine are both R-rated so it was a bit of a struggle to get them approved for the film. The fact Agent Smith from The Matrix was in The Lego Batman Movie helped move the new cameos along. It also probably also helped that producers Phil Lord and Chris Miller had tried going down this road in the past. 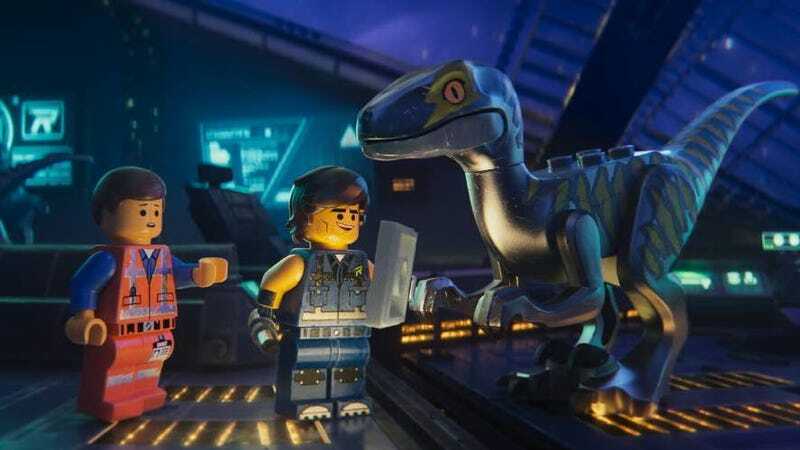 “But so much of the audience for Lego are fans and grown-ups that are imagining more grown-up stuff with Lego bricks—it’s part of it,” Lord added. Plus, the filmmakers can’t just put properties like Terminator, Bill & Ted, or Hot Tub Time Machine in The Lego Movie 2. There’s a process of acquiring the rights, getting approvals, and more. Luckily, Lord and Miller have friends in high places. The Lego Movie 2: The Second Part is now in theaters.